Every newbie has a lot of confusions while choosing a web hosting services for their first blog. Many of them are unable to afford costly web hosting and look for a good as well as a cheaper web hosting service. 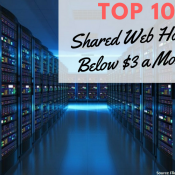 And when it comes to cheaper web hosting, shared web hosting is the best.